I was at the Indianapolis Women of Joy conference this weekend and had the privilege of hearing Christine Caine speak. She was a dynamic speaker. But her message was even better. The quote above really stuck with me. We get all caught up in what people do TO US. What did someone do to you that you continue to carry around like a ball and chain affixed to your ankle? It started out as sort of a prized ball and chain showing the world that you had been wounded. You wanted everyone to know and everyone on your side. You wanted the other person to suffer by public humiliation. Then it became a part of you. Almost a growth physically attached to you. The wound won’t heal because you won’t let it. You keep reopening it and letting yourself suffer in this thing that was done to you. And maybe it deserves to be remembered and the person deserves to be punished and humiliated and pay for what they did. I don’t doubt that there are absolutely situations that this is true. But when we make our life about what was done TO US by someone instead of what was done FOR US by the Almighty God, we live in misery and gunk making all those we come in contact with miserable and stand-offish from us. When we can’t forgive, God can’t forgive us. Some things are hard to forget. Some things are hard to forgive – almost impossible. But with the help of God and His grace, we can forgive. Look what all we have done to slap God in the face; how many times we have gone against His will or His teachings. And He forgives us – time and time again. I want to say this very gently……..very quietly…..very softly…..but very sincerely…..please cut the ball and chain that you have carried around for months, for years, for decades. Let’s be free from that heavy burden and turn it all over to the Lord and let Him take care of the person who has wronged us; the one we are having a hard time forgiving. Romans 12:19 – Do not take revenge, my friends, but leave room for God’s wrath, for it is written: “It is mine to avenge, I will repay,” says the Lord. Once we let go, we can walk with a spring in our step and a smile in our heart and radiate joy to all those we come in contact with. It may take a while to get there but cutting the chain is the first step. Concentrate on what Jesus did FOR us and let Him take care of those who did something TO us. 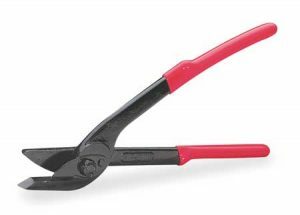 Here’s your chain cutter. Let’s do this thing! This entry was posted on August 14, 2017 with tags: #christinecaine, #womenofjoy, make a difference to someone every day by Deanna Young.